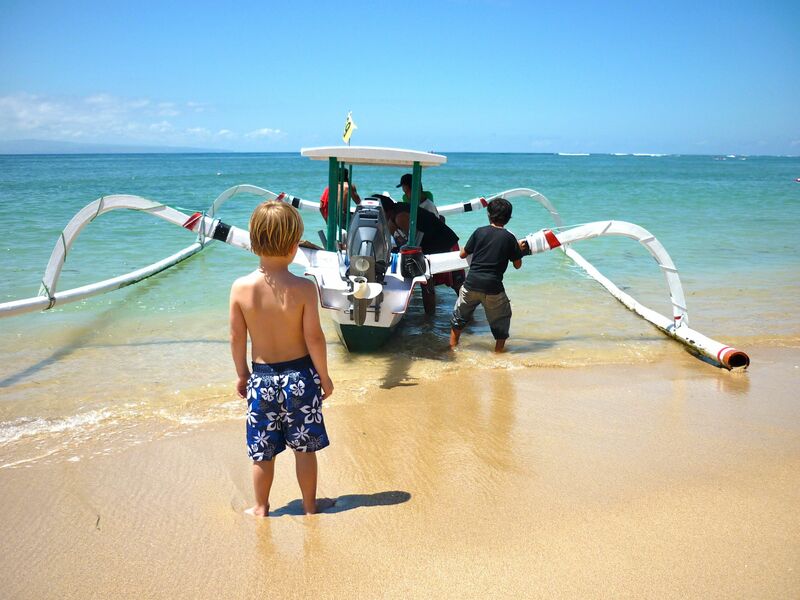 This series of photos was taken at a beach in Sanur, Bali. My son, Eddie, who was five at the time, was intrigued not only by a traditional fishing boat but by some local boys who were playing in the water. Eddie slowly made his way over to check things out. The local boys included him in their water games. Eddie definitely had some Balinese buds by the end of the day. This, to me, is a little slice of the world in perfect harmony.